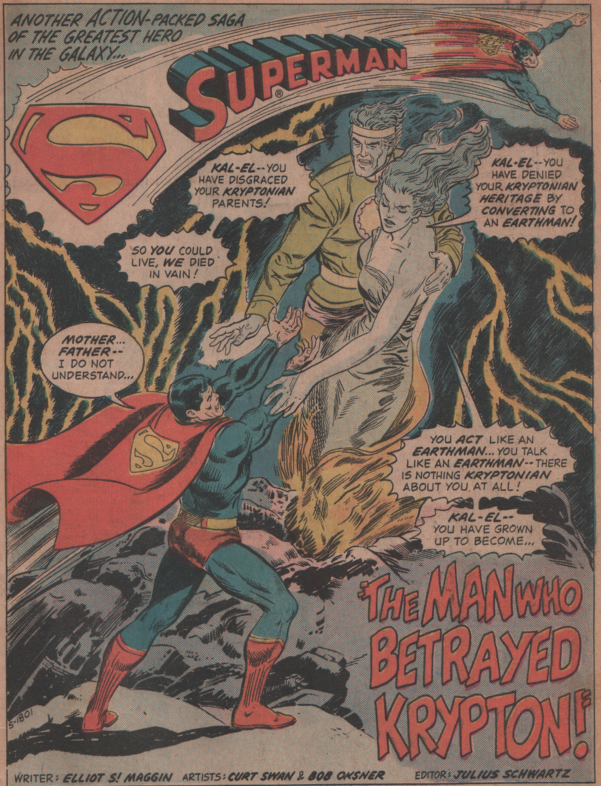 Action Comics 440, 1974 “The Man Who Betrayed Krypton!” | Magazines and Monsters! As December rolls around, the holidays are upon us, and what better superhero to spotlight in the first week than the man of steel himself, Superman! The cover on this one really stands out, and we have long time DC artist Nick Cardy (colors by Tatjana Wood) to thank for it (although it looks very different from his typical work). Inside we are treated to a very interesting story that involves a gentleman in a cape named Michael J. Coram, as he attempts to recruit two boys for some mysterious means. 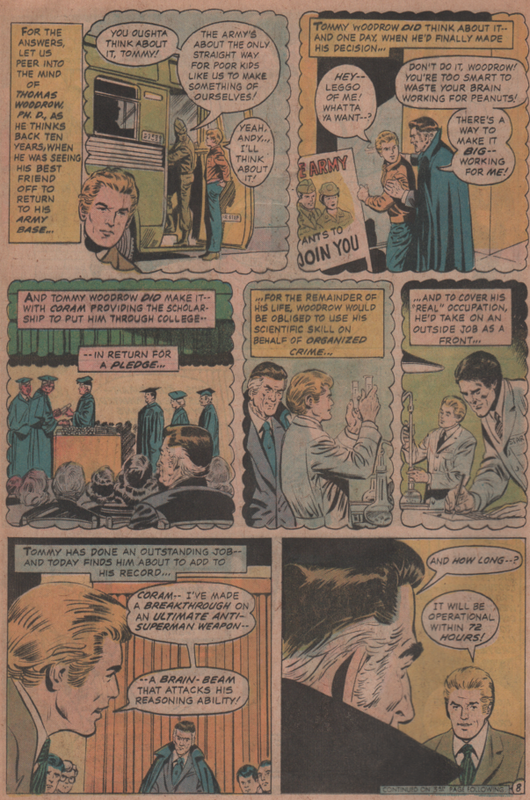 As Superman is taking care of some villains, we see a flashback of this Coram, as he approaches a man named Woodrow, about to join the Army. The man is a brilliant scientist, and Corman knows he can use this man’s intelligence for nefarious means! What are those means? Why to destroy Superman of course! 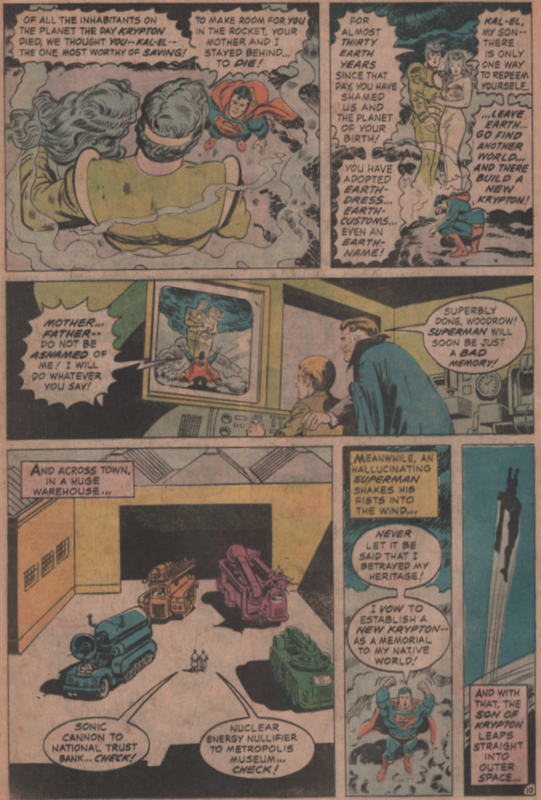 If you’ve ever the read the Superman story “For the Man Who has Everything”, by Alan Moore and Dave Gibbons, this story will make you think of that one immediately. Not because they’re exactly the same, but they do have a bit of a parallel theme between them. At least as far as the villain and his method for antagonizing Superman is similar. I won’t spoil it but attacking someone who has an invulnerable physique isn’t easy. Writer Elliot S! 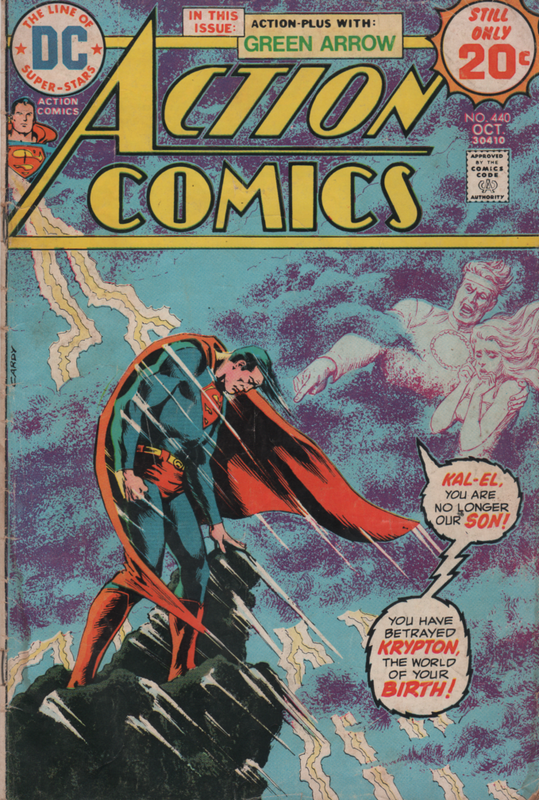 Maggin does a great job at giving the Man of Steel a moment of real weakness in this book. 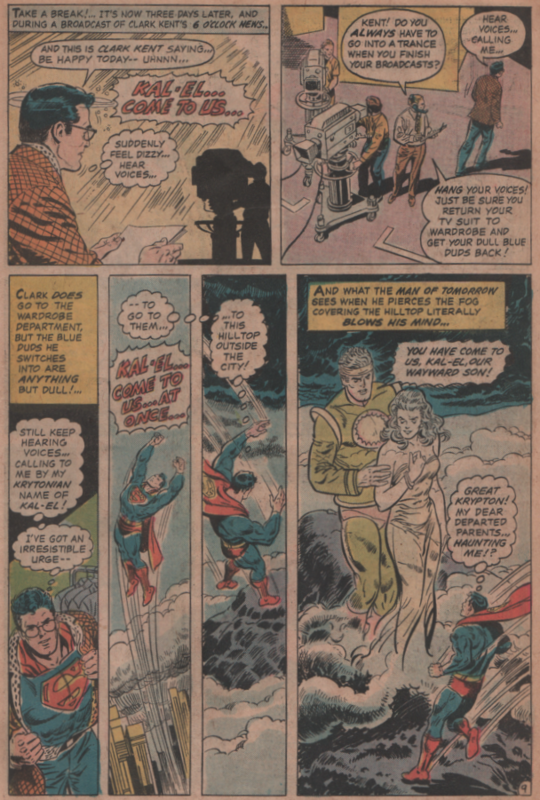 The art team of Curt Swan (pencils) and Bob Oksner (inks) deliver a solid visual story for sure! Nestled in the last few pages, is a really cool back-up story starring the emerald archer himself, Green Arrow! 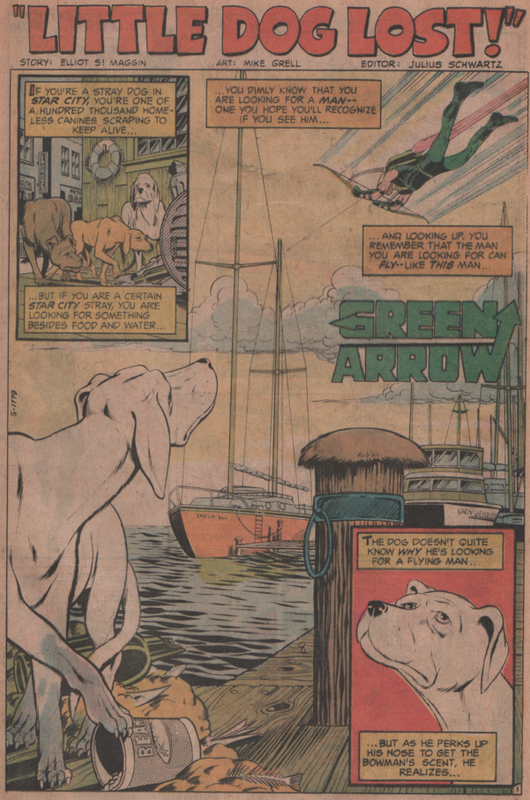 This strange story shows us a cute little dog named Krypto, a bunch of skeevy smugglers, and if that wasn’t enough, we see an out of control Black Canary karate chop Krypto on the neck! Elliot S! 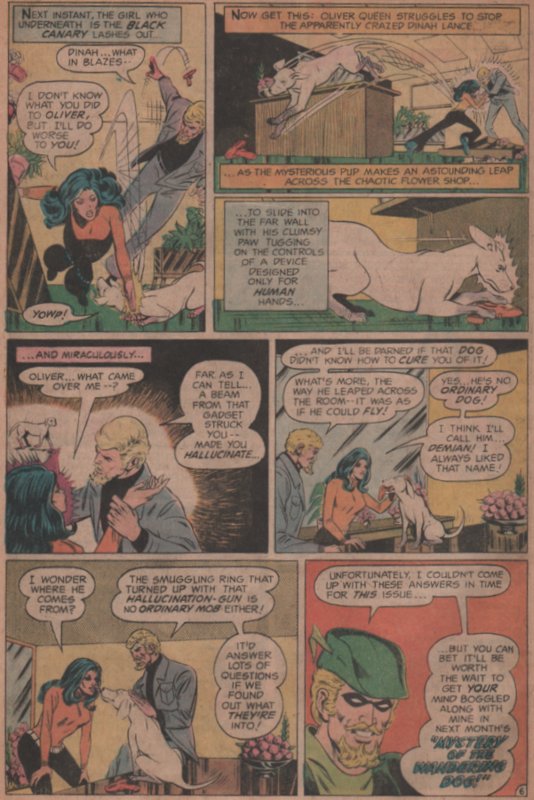 Maggin again scripting, and Mike Grell on art is a real treat!